​ Assessments do not tell you what you can or cannot be. ​But you can use assessment results to help you make career plans. 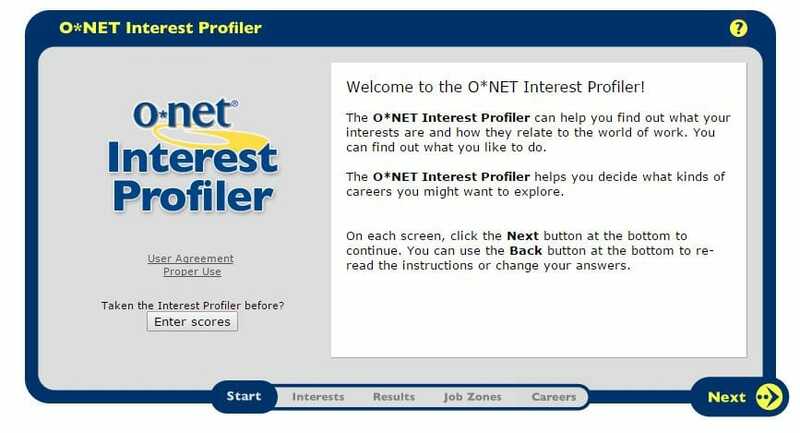 INTEREST: COMPARES YOUR INTERESTS WITH THOSE OF PEOPLE WORKING IN AN OCCUPATION. PERSONALITY: IDENTIFIES YOUR PERSONALITY TRAITS AND HOW THOSE INFLUENCE YOUR PREFERENCES. SKILLS: HELPS YOU IDENTIFY OCCUPATIONS THAT USE SKILLS YOU FIND SATISFYING. IDENTIFIES YOUR NATURAL ABILITY TO DO SOMETHING, WHETHER OR NOT YOU HAVE BEEN TRAINED IN THIS AREA.